Expect 3-4 weeks for production of this piece. This bracelet cannot be exchanged but if needed can be resized for a fee. Contact us for a quote in 18k or platinum or to request a rush. 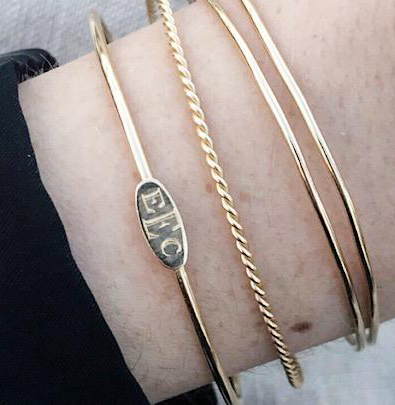 The heavyweight gold bangle with a personal touch. Created out of a family tradition of gifting a bangle each anniversary to represent another year of marriage, but also perfect to commemorate a new baby, special date & more. 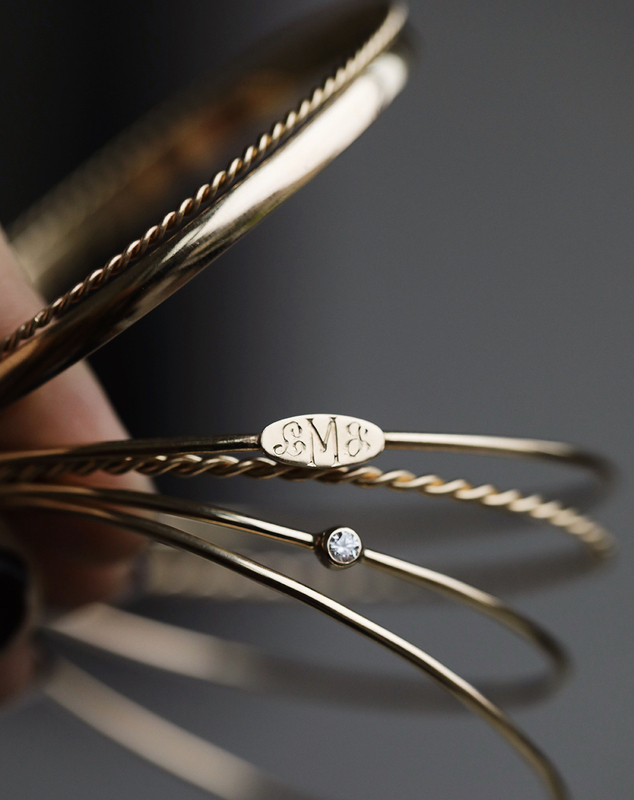 Almost 60 years ago, Ann William’s grandfather, Steward Simonson bought her grandmother, Mary Jane, a simple gold bangle to commemorate their wedding anniversary and a meaningful family tradition was created. After her passing, Stewart passed Mary Jane’s bracelets to her five children for each of them to continue the custom in their own marriages. The tradition was born and has been shared with family and friends by gifting the first bangle to a bride on her wedding day for her spouse to add to each year.